The screen maker was tested by building curved prototype. 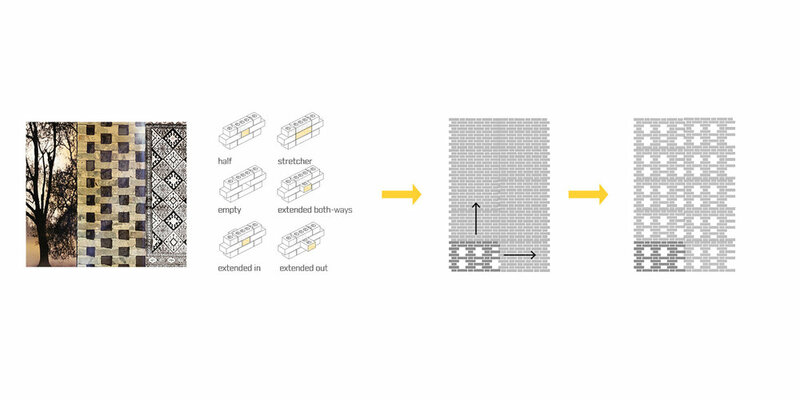 This work references low-tech brick masonry techniques and uses parametric digital design for designing masonry brick walls that can have flexible forms, patterns and openings, using Rhino/Grasshopper interface. Rather than solely relying on high-tech tools, this approach builds upon existing construction methods for greater global implementation with lower costs. In this design interface the designer creates the desired form of the wall, tests the buildability of the form based on the properties of the chosen brick, defines the structural grid of the wall, and designs the screen pattern. The result of the design process is a simple printable guide for the mason to build the wall. 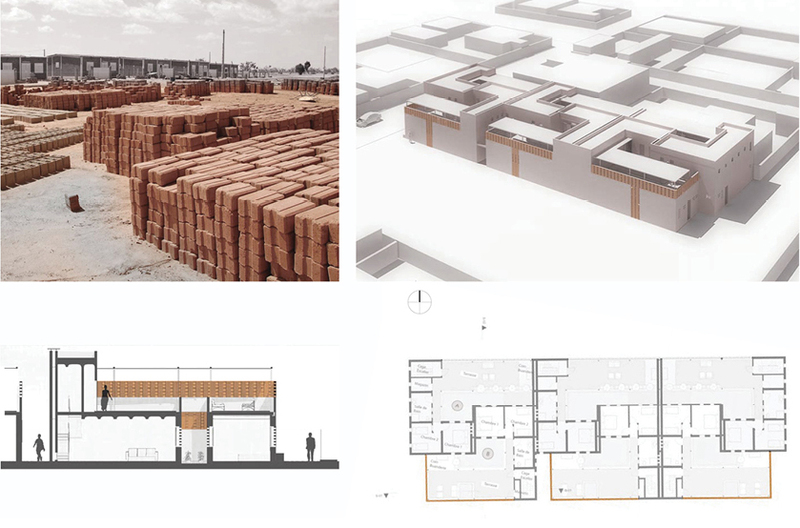 The simple, symmetric and modular form of bricks allows for different ways of unit-to-unit connection, which can create a variety of forms, patterns, and openings in a brick wall. This variation in connecting bricks can create many design options. However creating such forms relies upon highly-skilled masons and also the design process can be a challenge for the designer. The focus of this project is to simplify the design and construction process of a beautiful and responsive brick screen. By having the control over the placement of each brick within a 3D parametric brick wall, it is possible for the designer to become a mason in the digital world and to quickly study and visualize design options based on the properties of the masonry blocks. 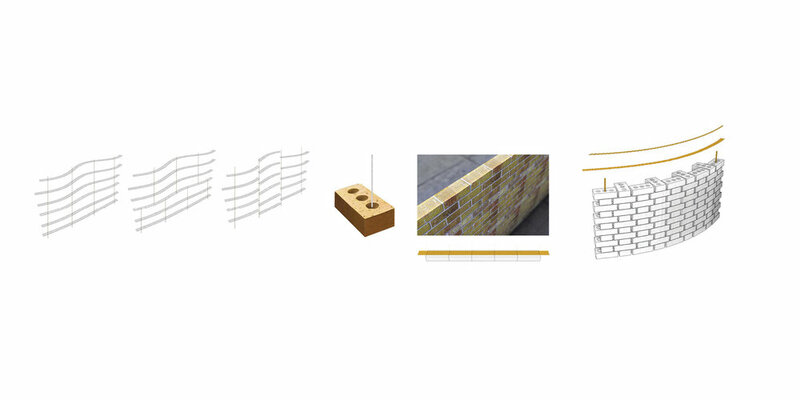 After digitally designing a brick screen wall, the challenge of communicating the design to an average-skilled mason is addressed by creating a set of paper guides (called DNA guides) that are drawn with Grasshopper/Rhino. The DNA guide includes all the information that is needed for a mason to know where to place each brick, where openings are located, and how to position the bricks to create a curved or straight form. The workflow has also been applied in building the flat screens of Niamey 2000. The masonry units of this project are locally produced compressed earth blocks. The structural limitations of this material required the flat form. The challenge of lack of skillful mason in creating simple yet intricate brick screens, was addressed by the creating the construction guides.